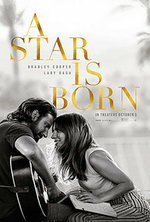 SYNOPSIS: A musician helps a young singer and actress find fame, even as age and alcoholism send his own career into a downward spiral. © Van Buren Drive In Theatre. All Rights Reserved.